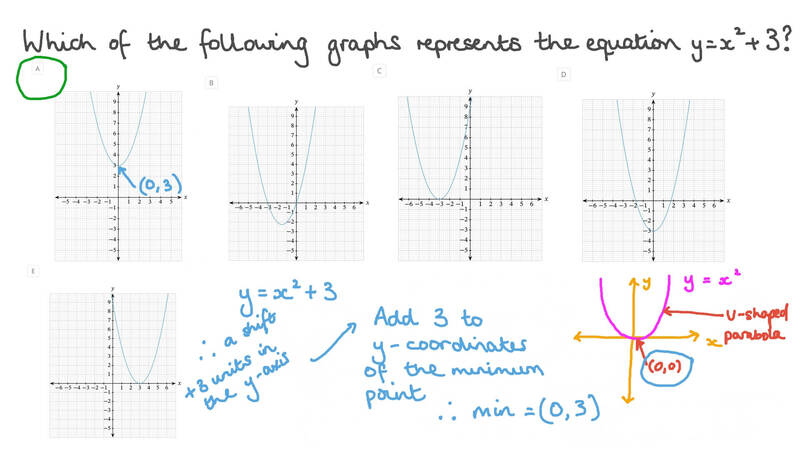 In this lesson, we will learn how to graph any quadratic function that is given in its standard form using a table of values. Which of the following graphs represents the equation 𝑦 = 𝑥 + 3 2 ? 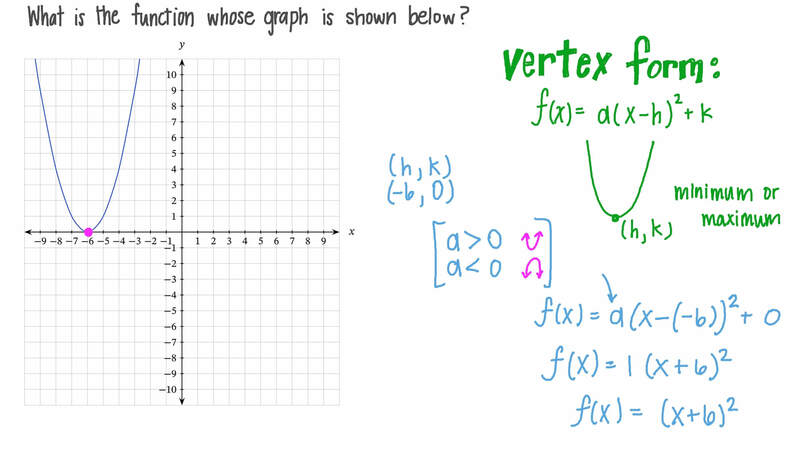 What is the function whose graph is shown below? Which of the following graphs represents the equation 𝑦 = − ( 𝑥 + 3 ) ( 𝑥 − 6 ) ? Write the quadratic equation represented by the graph shown. Give your answer in vertex form. Rewrite your equation in standard form. Which of the following graphs represents the equation 𝑦 = ( 𝑥 + 4 ) ( 𝑥 − 2 ) ? Which of the following graphs represents the equation 𝑦 = 𝑥 ( 𝑥 − 9 ) ?